Created in 1965, Medicare is a federal health insurance program that helps pay for a variety of health care expenses. It is administered by the Centers for Medicare & Medicaid Services, a division of the U.S. Department of Health & Human Services. Medicare does not cover all medical expenses or the cost of most long-term care. Most U.S. citizens earn the right to enroll in Medicare by working and paying their taxes for a minimum required period. Those who fail to meet the minimum required period may still be eligible, but might have to pay more. There are two plans to choose from: Traditional Medicare or a Medicare Advantage Plan and four parts to consider. Part A (hospital insurance) helps cover inpatient hospital care, skilled nursing facility care, some home health care and hospice care. Most people don’t pay a premium for Part A because they (or a spouse) already paid for it through their payroll taxes while working. However, there are deductibles, co-pays and other out-of-pocket costs for stays, services and equipment. Part B (medical insurance) helps cover most doctors’ services, preventive care, hospital outpatient services, laboratory tests, X-rays, mental health care, some home health and ambulance services as well as durable medical equipment. Most people do pay a monthly premium for Part B. There are also out-of-pocket costs for some services. Part C (private “Medicare Advantage” insurance) helps cover both hospital and medical services and is an alternative to Parts A and B. Medicare Advantage plans are usually “managed care plans” and the cost of coverage varies from plan to plan. Part D (prescription drug coverage) helps cover the cost of prescribed medications and is available with Parts A and B where a plan is chosen and the beneficiary pays a monthly premium. It is also available with Medicare Advantage plans either on its own or built into the managed care plan. Private supplemental insurance that helps pay a portion of costs not covered by Parts A and B. Are you retired, or will you or your spouse continue to work? Will you have access to medical and/or prescription drug coverage through an employer group health plan? How does your employer group health plan compare with Medicare supplement plans and Medicare Advantage plans? These touch on just a few of the factors you’ll need to think about when determining whether you’ll need a Medicare Supplemental Insurance Plan. The complexity of available options for supplemental insurance coverage is vast, and deciding which plan is right for you can be overwhelming. Multiple types of coverage are available with varying levels of associated costs. We’re here to help you compare plans and evaluate your options, assist in the purchasing of plans, assist with claims, and answer any questions or concerns for the duration of your policy. It depends. If you are 65 and receiving Social Security retirement benefits or Railroad Retirement benefits, you will be automatically enrolled in both Medicare Part A and Part B. If you are 65, but are not receiving Social Security retirement benefits or Railroad Retirement benefits, you will need to actively enroll in Medicare. Beneficiaries apply online at Social Security or visit their local Social Security office. If you are under 65 with a disability, you automatically get Part A and Part B after receiving disability benefits for 24 months. If you have ALS (Lou Gehrig’s disease) you automatically get Part A and Part B the month your disability benefits begin. It can be confusing, so when in doubt, contact Social Security. Penalties may apply if beneficiaries enroll after the designated enrollment period lapses. 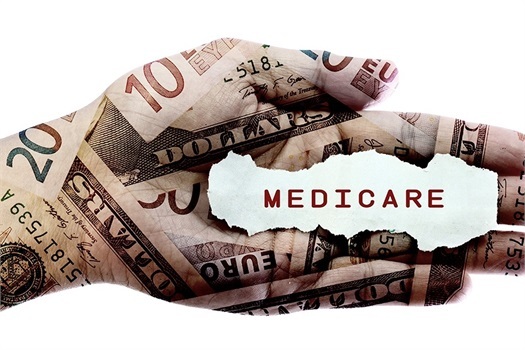 Is Medicare the same as Medicaid? No. Medicare is a federal program that provides health coverage to qualified individuals (see above), no matter your income. Medicaid is a state and federal program that provides health coverage if you have a very low income. It is possible to qualify for both. While it is a lot to digest, I saw first-hand how much clients appreciate the overview and how it expands their view on what their advisor is prepared to help them traverse. In other words, a little bit of knowledge goes a long way.